Reunion show: Moonpools and Caterpillars' Jay Jay and Kimi Encarnacion perform for the first time in 15 years. I'm still recovering from the awesomeness of last month's Moonpools and Caterpillars' reunion show. It was their first show in 15 years and they decided to return for a very special cause - Ethiopia Health Aid, a charity show that raised over $25,000; money used to ship donated ambulances and bring medical supplies as well as educational resources to villages in Ethiopia. 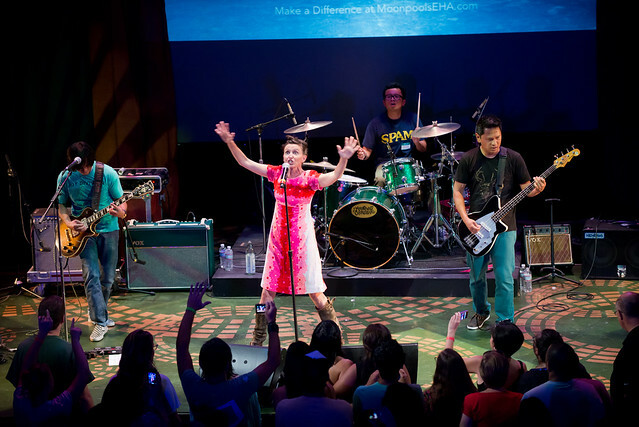 The sold-out benefit concert, held at David Henry Hwang Theater in downtown Los Angeles on July 27th, brought back original members, Kimi Ward Encarnacion, Jay Jay Encarnacion, Tim De Palma and Gugut Salazar to what was mostly a friendly and informal affair with close friends, family and loyal fans old and new. 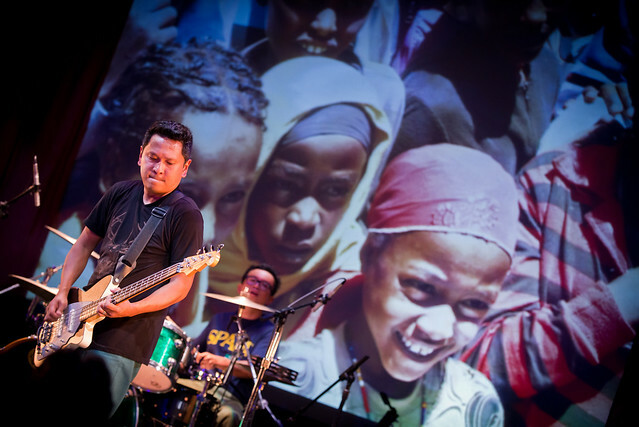 Tim de Palma and Gugut Salazar of Moonpools and Caterpillars perform during Ethiopia Live Aid at David Henry Hwang Theater. 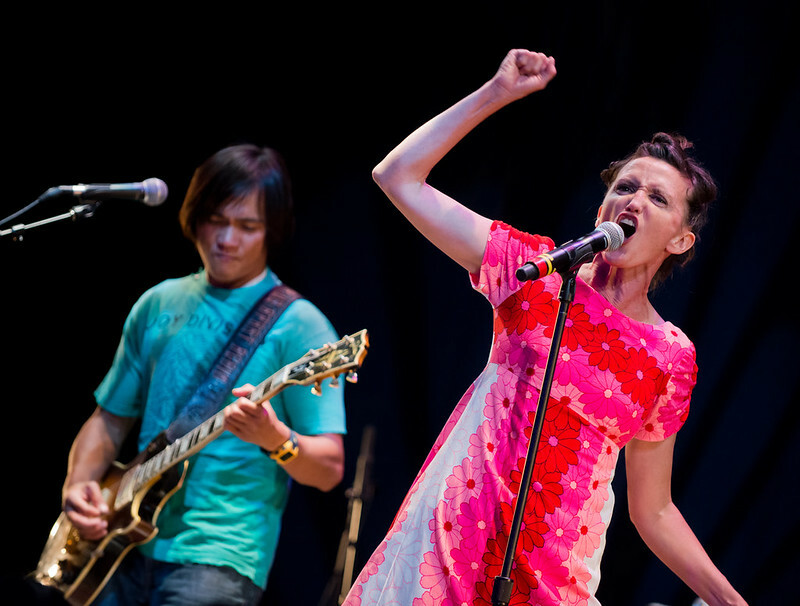 From their first song to their last, Moonpools and Caterpillars didn't show any rust after a long absence from the stage, performing fan favorites from their two albums. The only time they did show their age was halfway into their set when they took a pause to catch their breath. "Talk amongst yourselves," Kimi joked to the crowd. With the audience getting out of their seats to dance and crowd the front of the stage, the welcomed break also gave everyone time to also catch their breaths. The band also got a break when Kimi performed an inspired, solo rendition of Johnny Cash's "Ring of Fire." 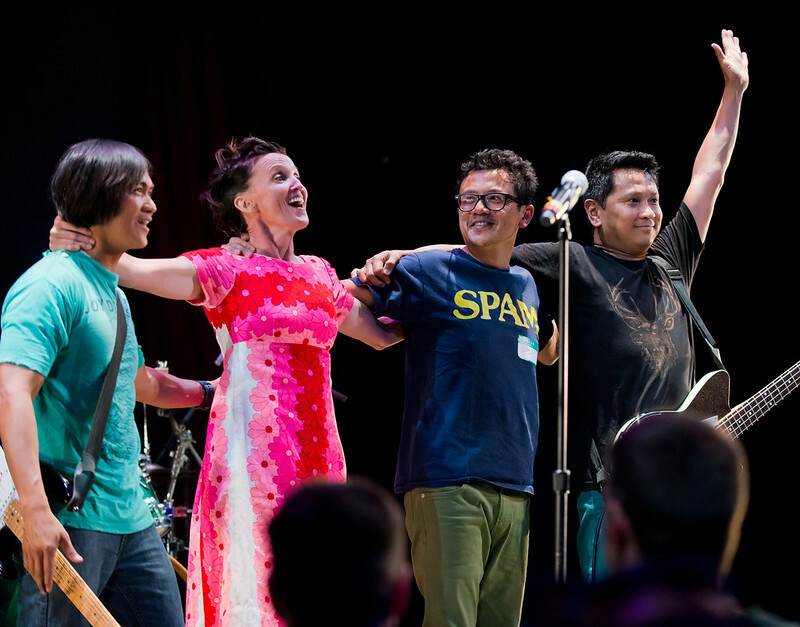 Throughout the intimate show, Kimi, Gugut, Tim and Jay Jay smiled, waved and acknowledged friends and family in the crowd between and during songs. For me, seeing them for the first time after falling in love with their debut album, Lucky Dumpling, 15 years ago was a dream come true. If you closed your eyes, you'd think you were listening to their cd. They were that polished and spot on after nearly three decades of not playing together. From Kimi’s yodeling and Tim’s high-flying scissor-kicks to Jay’s confident and controlled play on guitar and Gugut’s playful drum beats, Moonpools and Caterpillars transformed the David Henry Hwang Theater into a time machine that transported everyone back to 1995; from the rousing and electrifying "Hear" that opened their set and got everyone out of their seats to the ever delicate and uplifting "Summertime" and the vulnerable, lullaby "Heaven,” their songs, just like fine wine, had aged well through the years. Making a point not to take an encore so they can squeeze in as many songs as possible, Moonpools and Caterpillars sang a marathon 18 songs chosen from two of their albums Lucky Dumpling and 12 Songs. Fans danced, cheered and sang along to songs like "Ooh Ooh," "Summertime" and "Traveling Song." At the end of the showcase, when everyone in the theater realized the end was near, Kimi fought back tears. "Ok so it's time," Kimi announced. 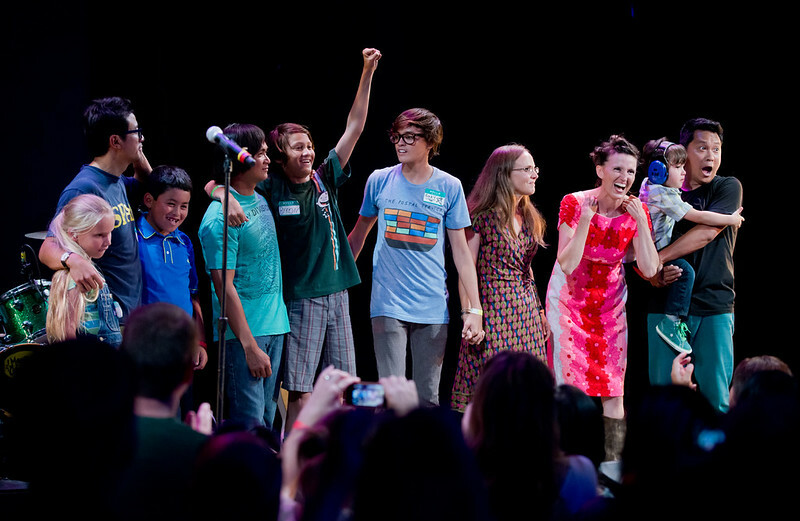 "This has been so great...Thanks so much for being here," she finished as they closed their set with "Crazy Old World" and brought up their children onstage to share the spotlight. Two Generations of Moonpools and Caterpillars. 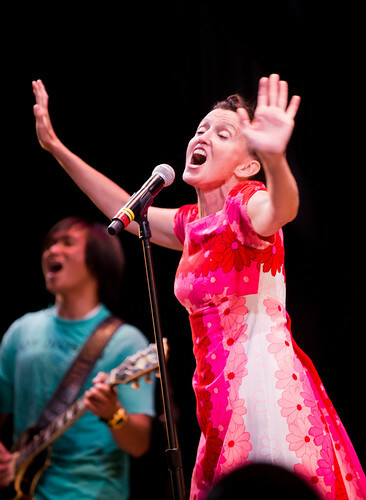 Check out more pics from the Moonpools & Caterpillars reunion show right HERE.